AGE – that three-letter word that is a four-letter word to so many people! But what does it really mean? When I was growing up, back in the Stone Age, anyone over 30 was considered old. No one even believed they would live that long. And, considering I grew up in the late 60’s, it was an unfortunate premonition for too many. When I was in my 20’s, I didn’t realize I was mortal. I never thought about it. 50 was old, completely over the hill, and I wanted to be a big executive by the time I was 35. Or, if I couldn’t be an executive, I wanted to be married and have a nice row house with a yard and driveway. I wanted to have a dog and a couple of kids and live Happily Ever After. I thought I had all the time in the world. In my 30’s, I was a single mom. I hoped that I lived to see 50, because I was exhausted all the time. I was worried, confused, angry, frustrated and already regretting that I hadn’t taken my father up on his offer to pay for me to go to college. Even it if meant I had to live in Canada. (I never knew why he said that – probably because he knew I would never take him up on it.) I was tired of starting at the bottom in every new job because I had no college education. I had no self confidence and was convinced that I would never, ever get married again. I wasn’t precisely bitter, but I was definitely bitten by the commitaphobic bug. When I wasn’t working, I was trying to figure out how to be a good mother, considering I didn’t have a whole lot to fall back on in the role model area. My relationship with my family was distant by my own choice, and I have never regretted it. But the world was a very harsh, lonely place. Still, I didn’t think about age or mortality or even getting sick. Age was something old people worried about. Turning 40 was not a traumatic event for me. I knew a lot of people who freaked out about it, but I didn’t really care. I was happily remarried, which I thought would never happen. I was a stepmother to twin girls who were only 3 weeks younger than my daughter, and that pretty much consumed most of my worry time. Dealing with pre-teens and then teenagers was enough to make me feel older than dirt, even as I said that 40 was not even middle aged… I still never thought that there would be limited choices in my world. I made a lot of really bad choices, and started realizing that I couldn’t run away from myself forever. My forties were packed with a lot of emotional breakage and growth, even as the girls were growing and learning. I was un-learning and re-learning, while trying to have enough answers so that they didn’t figure out how clueless I really was! And when I felt old, it was because of fatigue rather than truly related to my years. I just didn’t think about age. Realizing that I had lived a half century when I turned 50 was more than a little startling. I began to think about the things that I would never do. But I spent more time thinking about the clothes that I couldn’t wear any more because I was too old. That was, stupidly enough, something that I found shocking. I never wanted to look like that creepy old lady in the mall wearing too much makeup and booty shorts, but I started to find that other things just looked out of place against my face. In fact, when menopause brought reality crashing into my life, I found that I was all too mortal. Not only could I simply NOT eat whatever I wanted, whenever I wanted, but I misplaced my waistline along the way and it was gone forever. It started taking a little longer to stand up straight in the morning. My neck looked like crumpled newspaper if I moved my head the wrong way. Instead of being able to go out and drink and listen to music all night, I found myself wanting to eat dinner around the time that the Early Bird specials were posted… except that now there were a whole list of things I couldn’t eat any more. So going out to eat was more of a job than an adventure. The children were all grown, and living on their own, which made me happy. I found that I was so proud of the smart, vibrant, powerful women they had become that I didn’t have time to miss them. And I threw myself into new projects because I believed, somehow, that this was what I was supposed to do now. I still joked about age, but I began to take it seriously. Let’s face it: When you look in the mirror in the morning and actually don’t recognize the face staring back at you, it’s time to be a little serious! Age didn’t make me feel old until very recently. I became a grandmother for the first time in January. My adored little lady bug, Sophia, is such a jewel of a child. I was never one of those people who nagged my children to “make me a grandmother”. I still resented my mother and father for dumping that nonsense on me. I also never thought about having grandchildren as being an aging moment. I look at it as an incredible blessing, a bigger treat than shopping, or anything else in the world. Watching my daughter being an amazing, wonderful mother while juggling going back to work and gracefully managing the inevitable shifts in her relationships is thrilling for me. Seeing the new dimensions that fatherhood has brought out in my son-in-law is a huge treat. Having a little baby gnaw on my shoulder again is heaven! But it has made me stop in my tracks and actually think about my age, and how my age makes me feel. I will be 60 this year. I don’t feel 60. True, I can’t stand hip hop music, but give me some AC/DC and I will still rock out. I hate admitting it, but my feet just won’t agree to be squeezed into high heels any more. I remember how I used to smile and ignore the elderly ladies I used to work with when they talked about how they missed their high heels, and one day I would have to give them up, and I feel like an idiot. I don’t sleep like I used to either. But I think that is because my mind is racing at warp speed, thinking about small things and big things I never took the time to look at before. I don’t have the stamina I used to have, but no one seems to miss it, except me. Besides, three big dogs are enough to wear out a young person, if they want to play. It’s like having over 300 pounds of three year olds under foot all the time. I think that excuses me when I get a little worn out. One thing I didn’t expect was the expanding sense of freedom. Freedom from the tyranny of fashion, shapewear, and all related expectations of coolness. I don’t live a life where it is necessary for me to look “a certain way” any more. In fact, I could wear jeans and button down shirts 7 days a week and no one would notice. There is a blessed sense of fresh air in knowing that you don’t have to keep up with the Joneses, or the Kardashians, any more! I no longer worry if I am the thinnest, or if I have the coolest shoes, or even if I am wearing makeup. In fact, it is rare for me to bother with makeup any more. When I think about how I used to be so paranoid about how I looked I would never leave the house without makeup, it makes me glad to be almost 60. (I probably would have stopped to put on makeup if the house was on fire, that is how insecure I was…) I can feel the sun or wind or rain on my face now, rather than the mask I put on. Another blessing that comes with age: You don’t WANT like you used to. When I was younger, I wanted things. Really wanted them. Sometimes, they were things. Sometimes, they were less tangible. But I wanted them. And wanted. And wanted. It was like a metronome beating in the back of my mind, never letting me truly have peace. Somehow, age has stopped that relentless ticking, pounding beat in my brain, and left me with the ability to see my life in all its glory. When I have my glasses on, I can look at myself and I no longer take out the mental scalpels and cut myself to pieces with criticism. And, if my wrinkles bother me, I can take off my glasses – I can’t see a thing then! Pretty freeing, huh? Giving up the idea of having The Next Big Thing was a sign of age. In a good way. I finally accepted that I didn’t want to live the kind of life I would have to live to be that kind of success. I didn’t have the desire to go out and eat up the world any more. I didn’t want to spend the energy constantly being in other people’s faces, pushing and pushing. I like what I do, I even love it in a lot of ways. But I don’t love the idea of all that hustling any more. I did that. I don’t want to repeat old patterns, or old mistakes. I can allow myself to think about the quality of life I want, and I can give myself permission to live it. When you reach “a certain age”, you have failed at so many things that the word has lost its sting. The eyes of age can allow you to look with clarity at what you once saw as failures, and see that they were only things that you were never meant to continue doing. I am starting to understand all the things I didn‘t understand about the old people in my life when I was young. I understand why they liked their routines. I understand why they loved to listen to the music of their youth. I understand why they preferred their comedians to the ones I watched. (OK – I will never understand why they didn’t get Monty Python. They are funny, I don’t care who you are!) I am beginning to understand why they liked more peace and quiet about them: They had lived through their own years of wanting, running, hearing the drumbeat of pressure, feeling the crushing weight of expectations. And they, too, found that they loved the thoughts that came to them in those new, fresh moments of silence. With so few years left, you start to treasure the freedom of choosing the things you really want to do, and you start to make the most of the time you have to explore your life. Not having to raise a family, you can finally raise yourself up and choose who you want to be. I think that is freaking awesome! 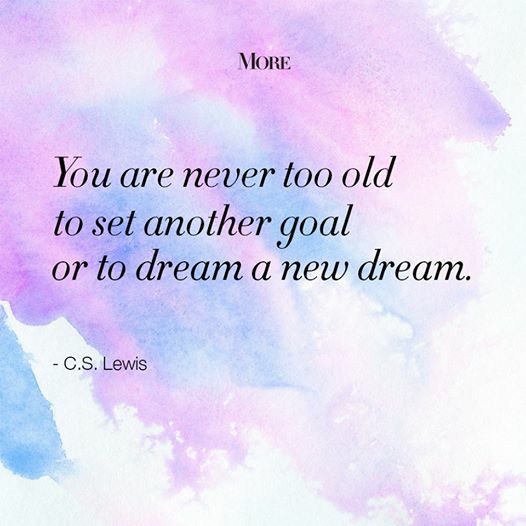 Age doesn’t have to make you feel old. You just need to learn to appreciate it! Yes, you may creak when you get up out of your recliner, and you may feel invisible to the majority of the younger people rushing around you. But you have earned the right to enjoy the new discoveries that age brings. In between the moments when you hear grandchildren laugh and your children ask you how you did it, you will find those little jewels of happiness in a job well done, a life well lived, and the world still waiting to surprise you with it’s beauty. I own and operate HomeBadger Creations, Inc., maker of hand made wraps, shawls, ponchos, scarves and tunics for women of all ages. Custom orders are always welcome! This entry was posted in Aging, Children, Marriage and Relationships, Parenting, Self Improvement, Uncategorized and tagged age, career, children, divorce, empowerment, faith, grandmother, health, healthy aging, humor, joy, menopause, motality, motherhood, self confidence, self improvement, small business, stepmother. Bookmark the permalink.